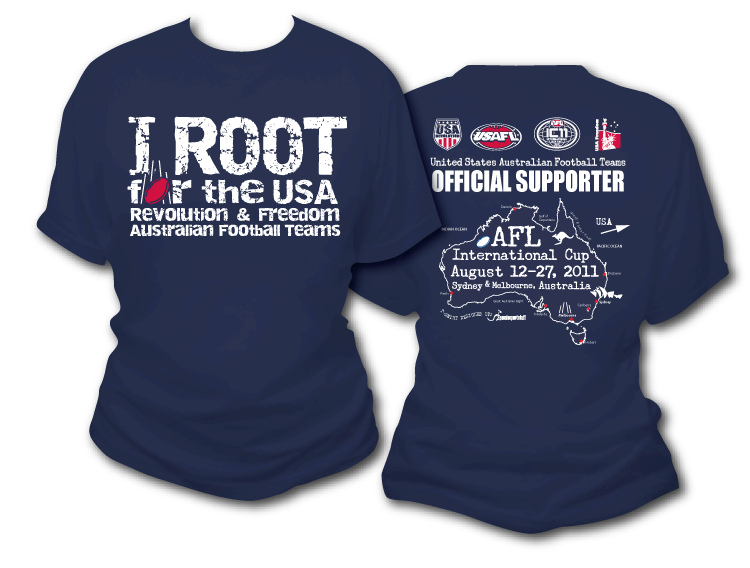 Supporters of the the USA Revolution and USA Freedom had the opportunity to purchase an Offiicial Supporter's T-Shirt. Orders for shirts are now closed, however if you still wish to purchase one, you can track down the teams in Australia during the International Cup. 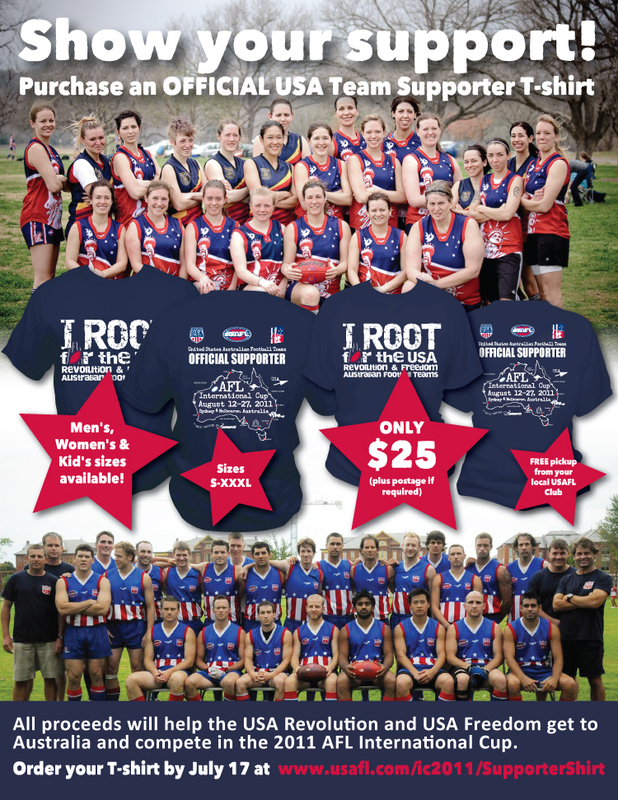 T-shirt orders will be sent out to USAFL clubs and U.S. postal addresses on August 3. Australian residents should expect to see theirs the week beginning August 15. All proceeds go toward helping fund the teams for 2011 International Cup. Shirts are available in men's, women's and kids sizes. If you have any questions, you can contact Amy Bishop at freedom@usafl.com.